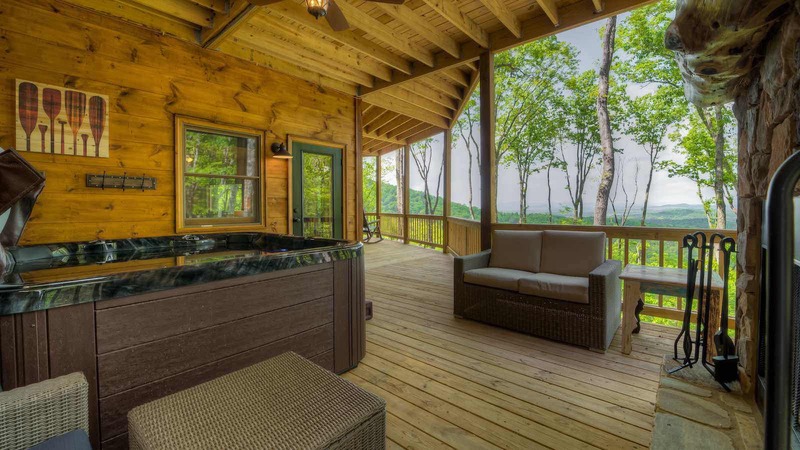 The sky is the limit for this stunning luxury cabin perched mountainside in the famed Aska Adventure Area! 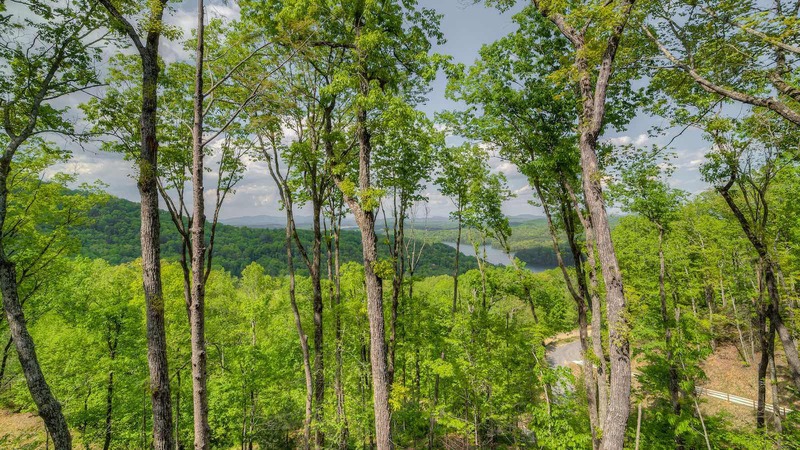 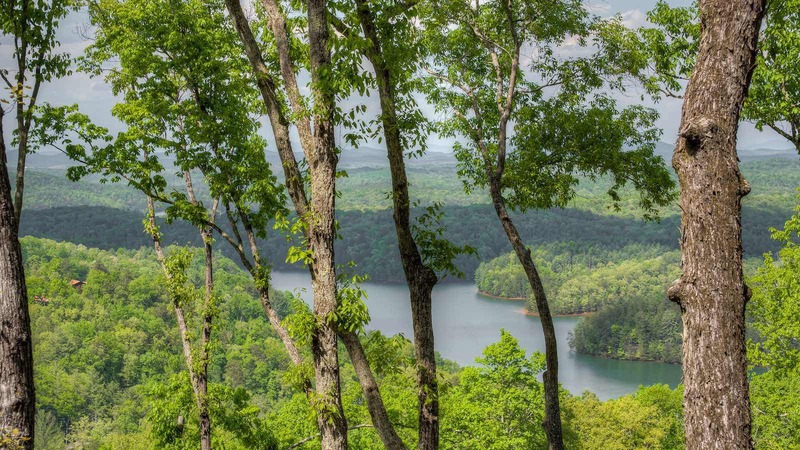 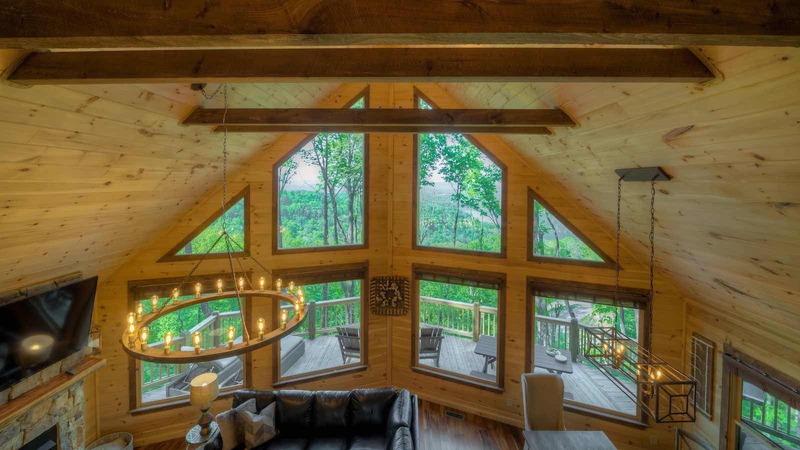 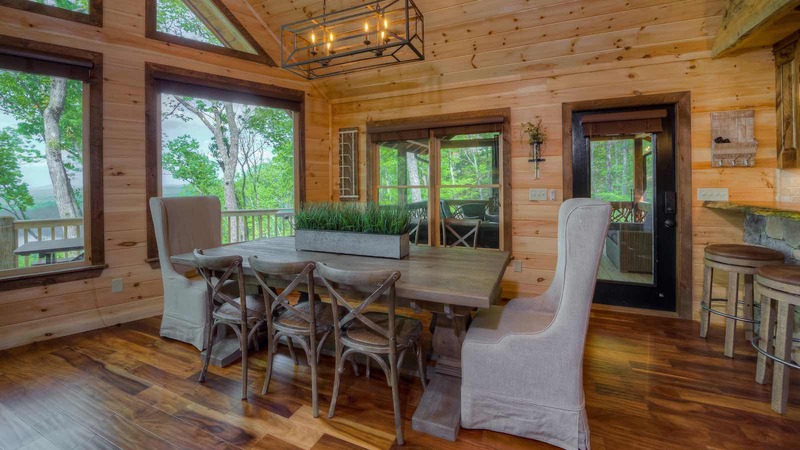 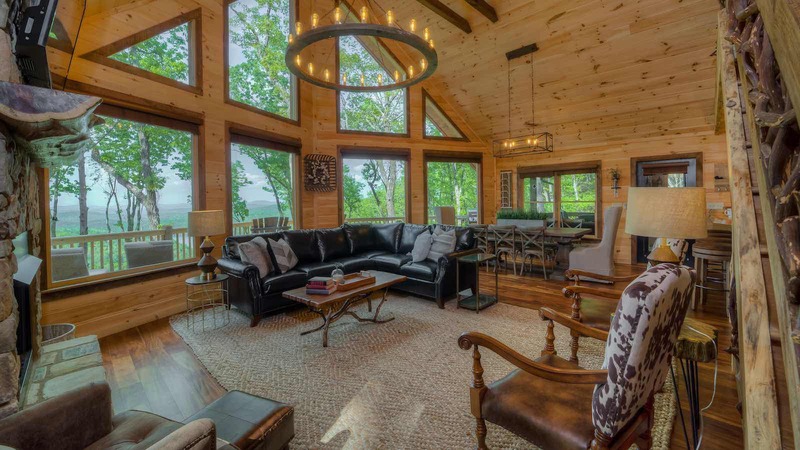 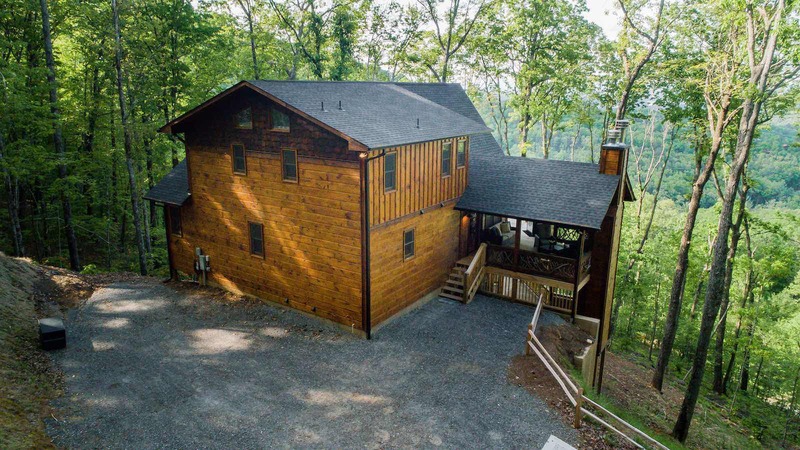 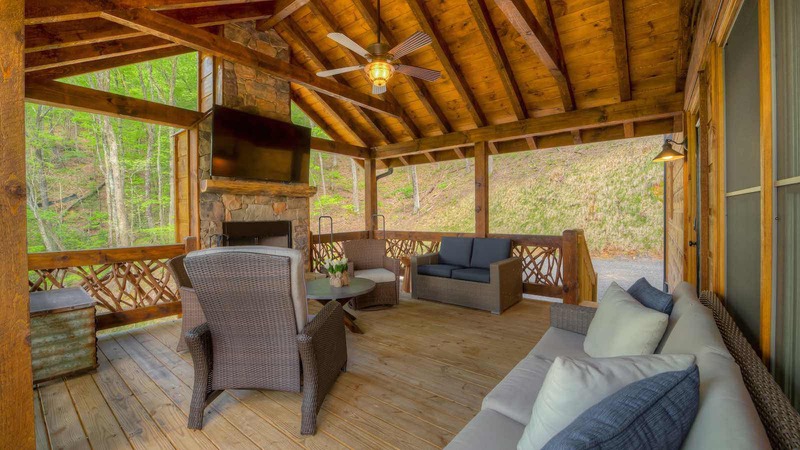 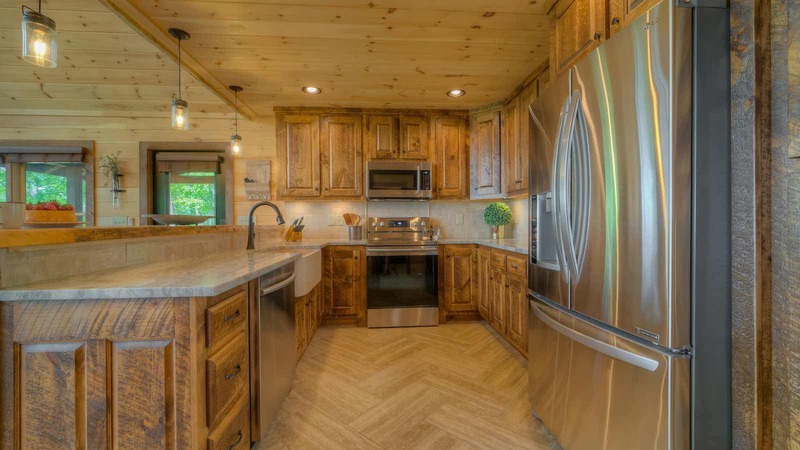 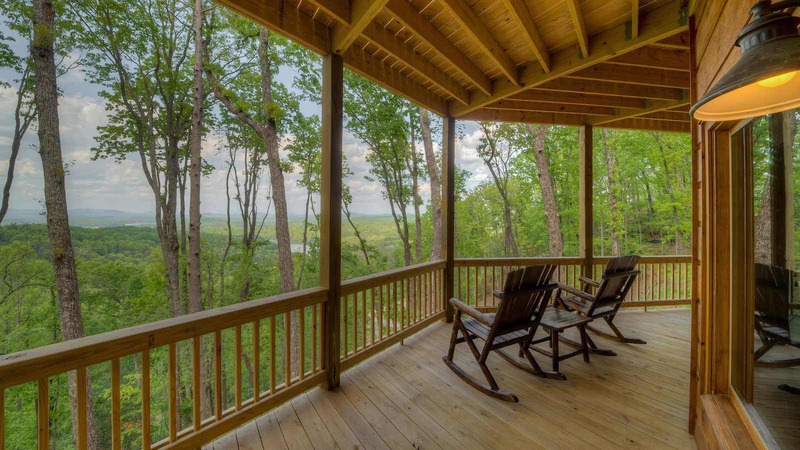 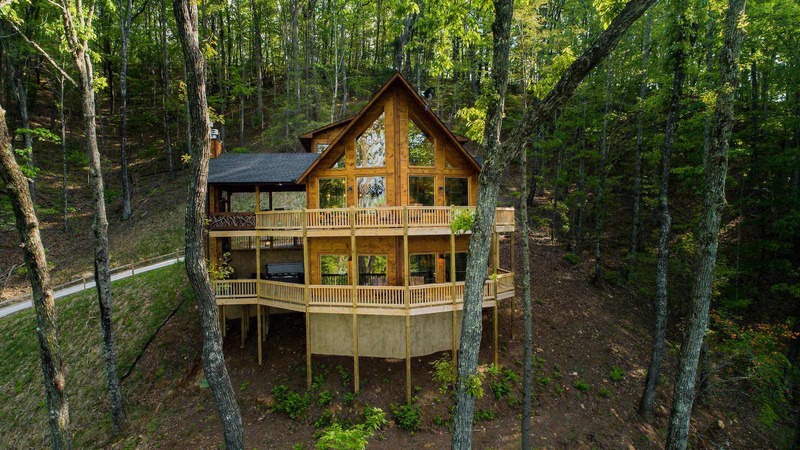 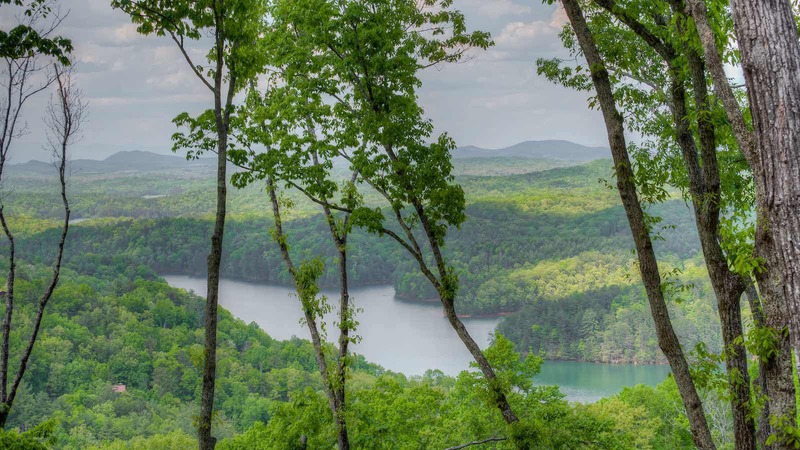 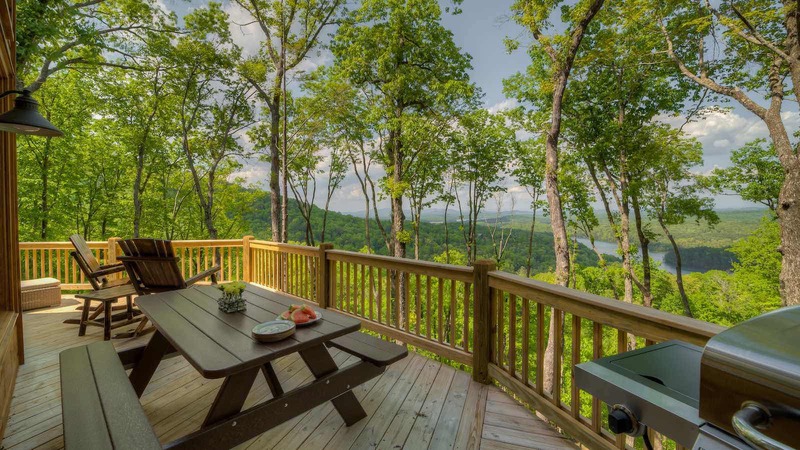 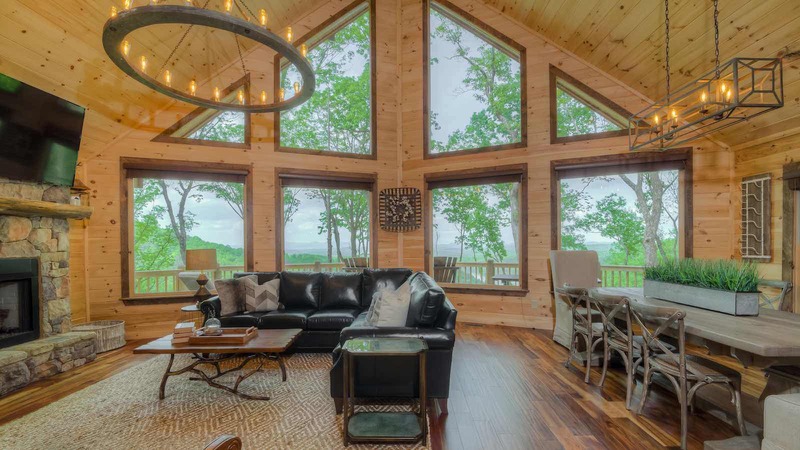 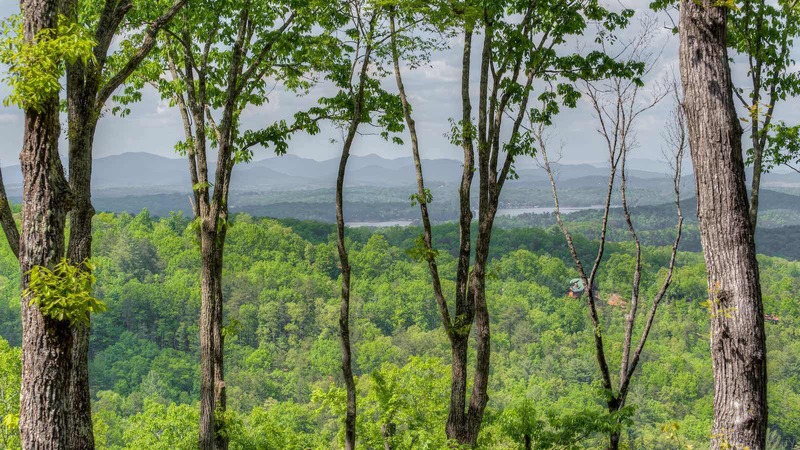 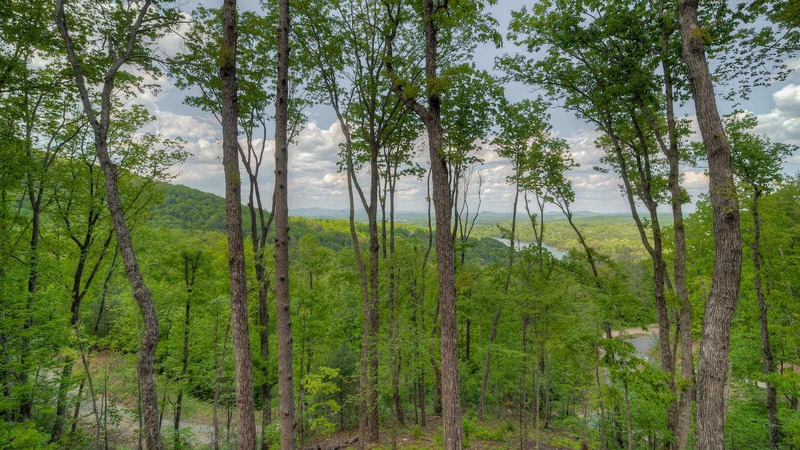 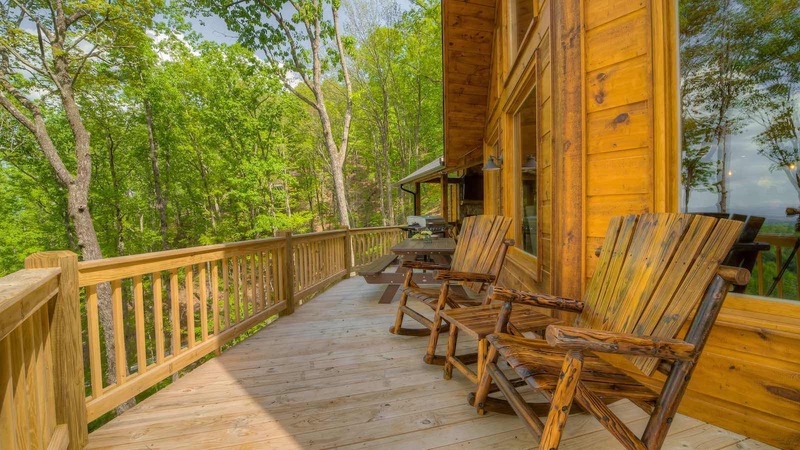 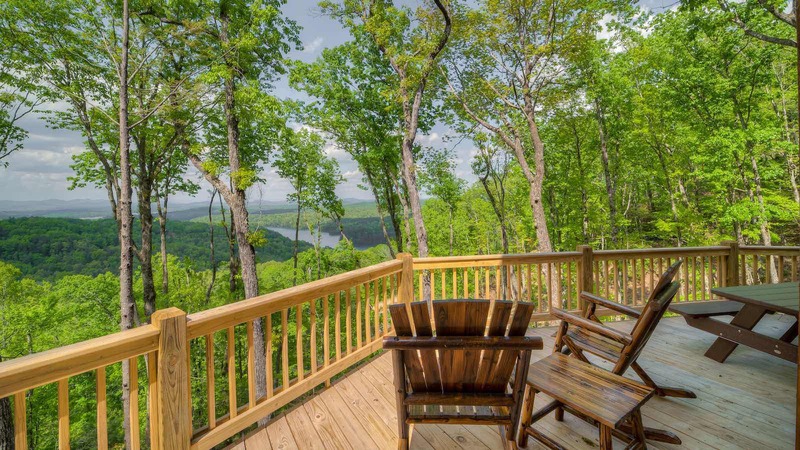 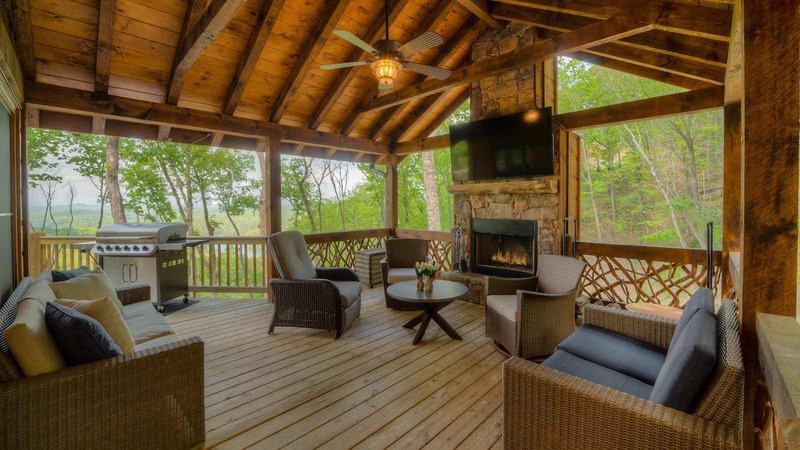 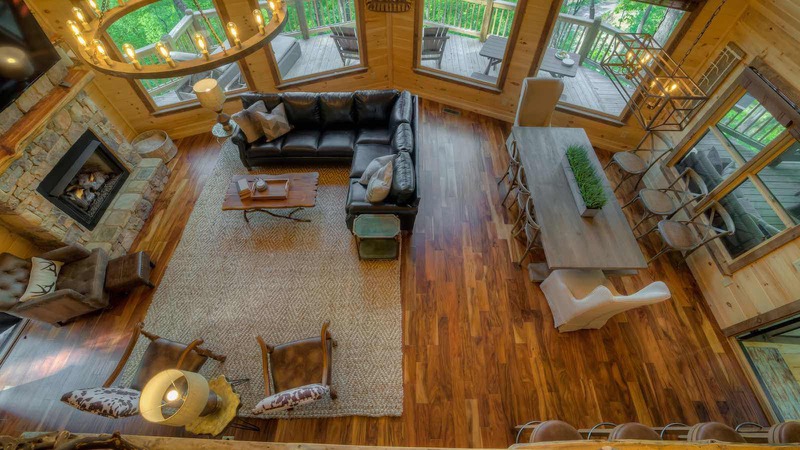 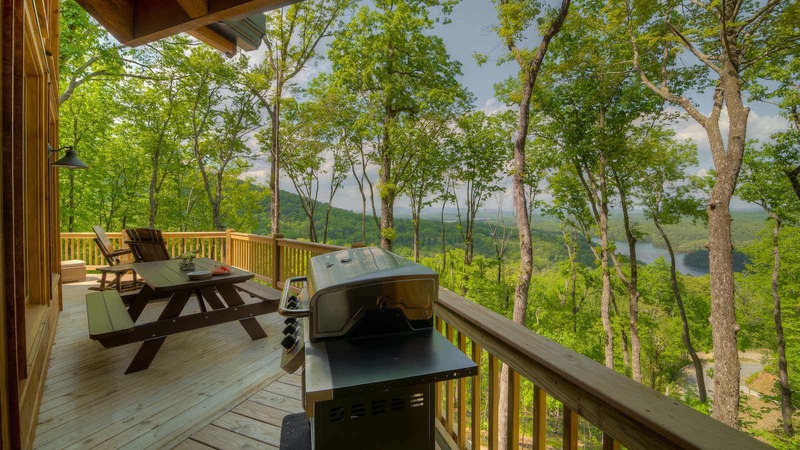 At Sky High Lodge, you can enjoy incredible views from this cabins almost literal mountain top location..You can even see the beautiful Lake Blue Ridge weave its way around the mountains below! 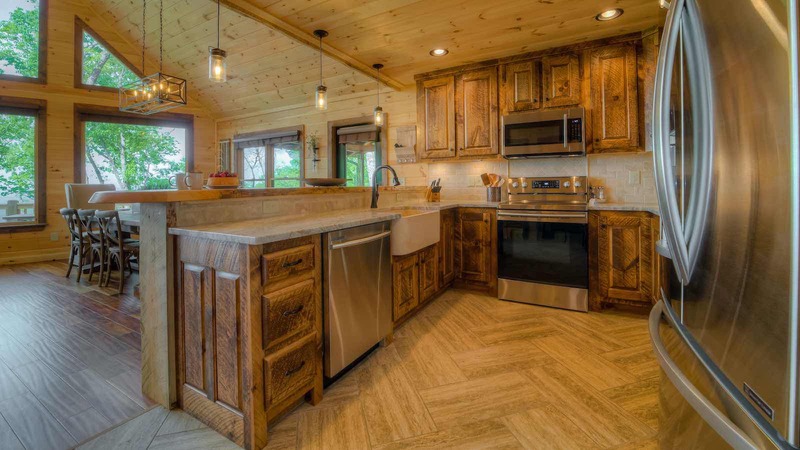 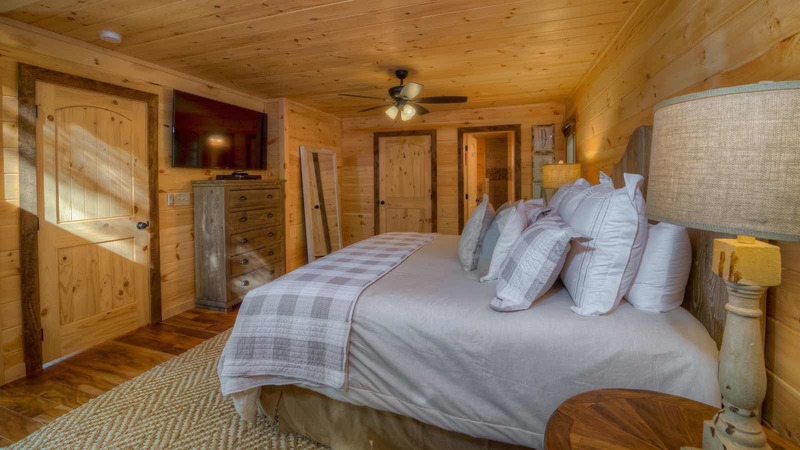 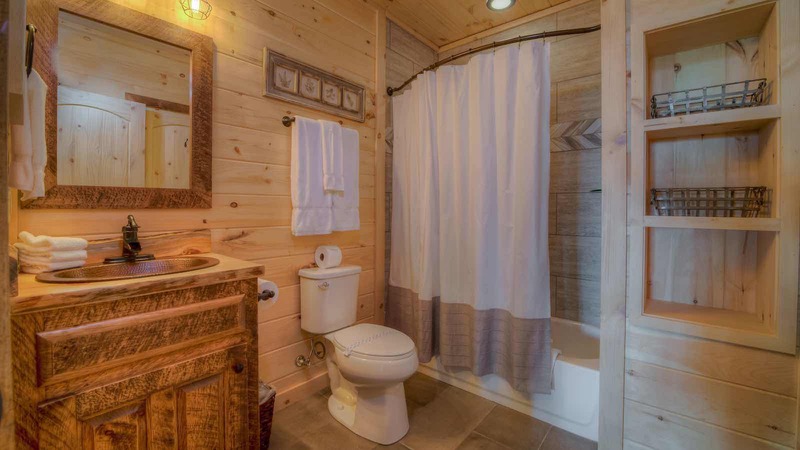 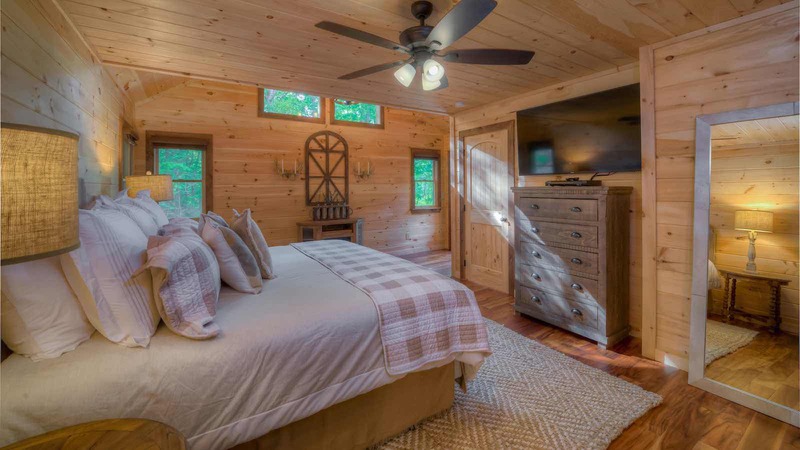 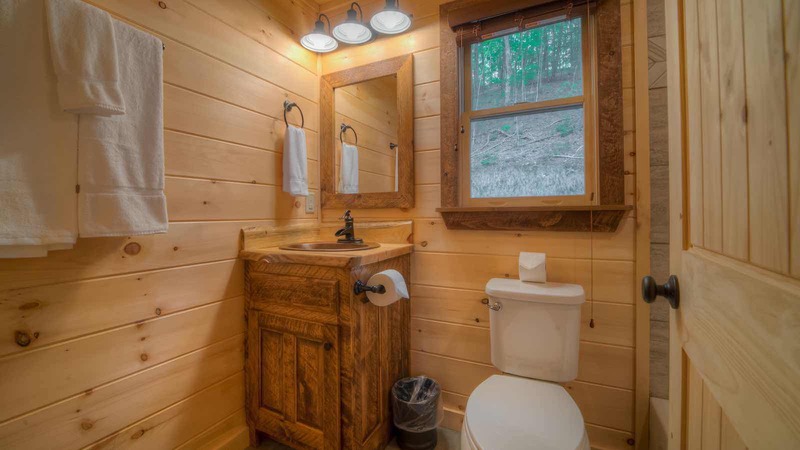 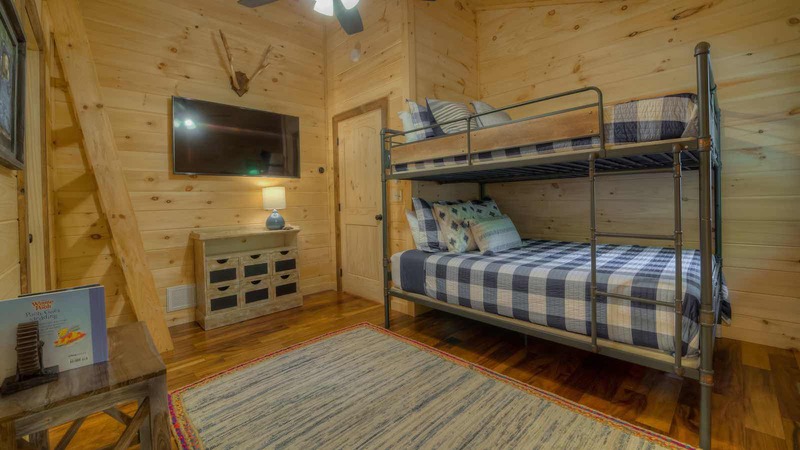 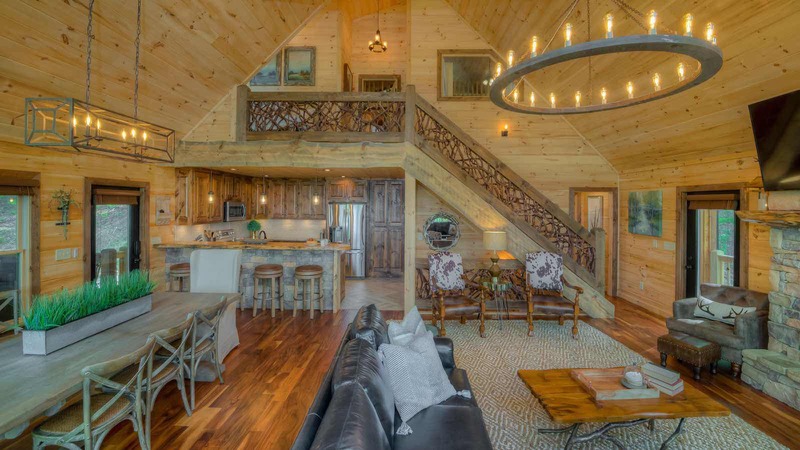 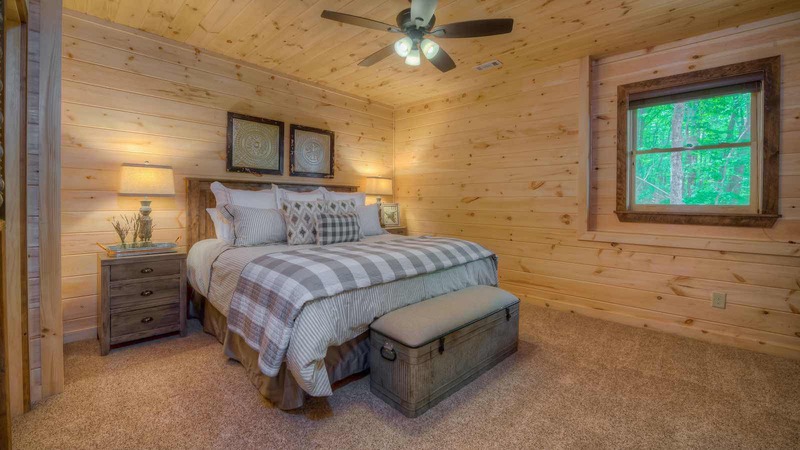 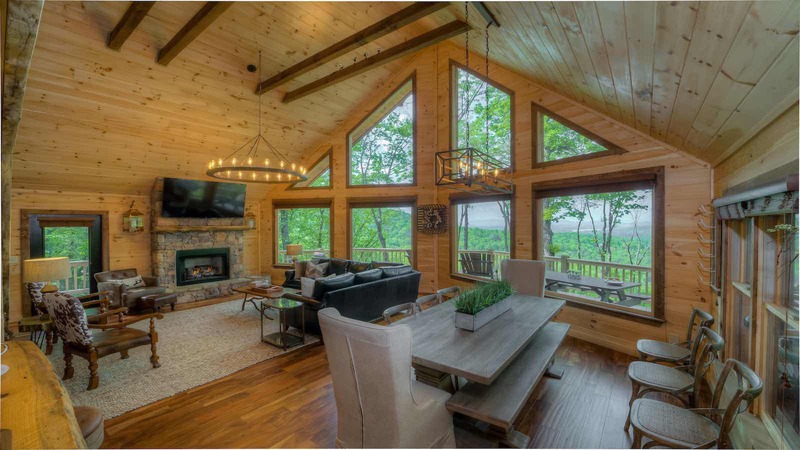 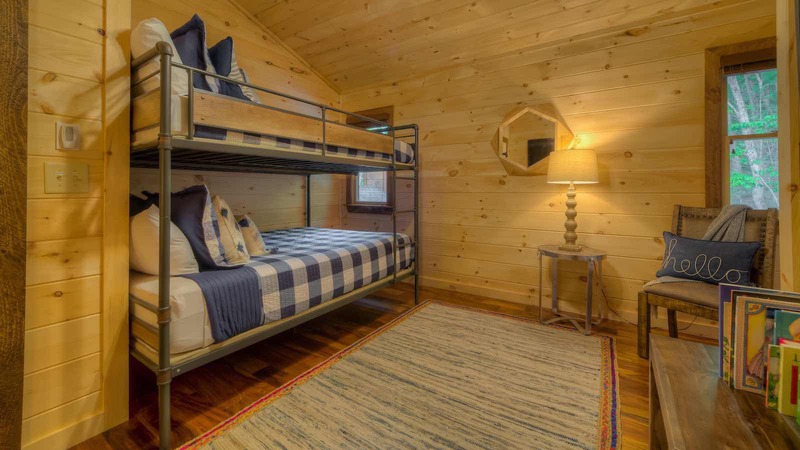 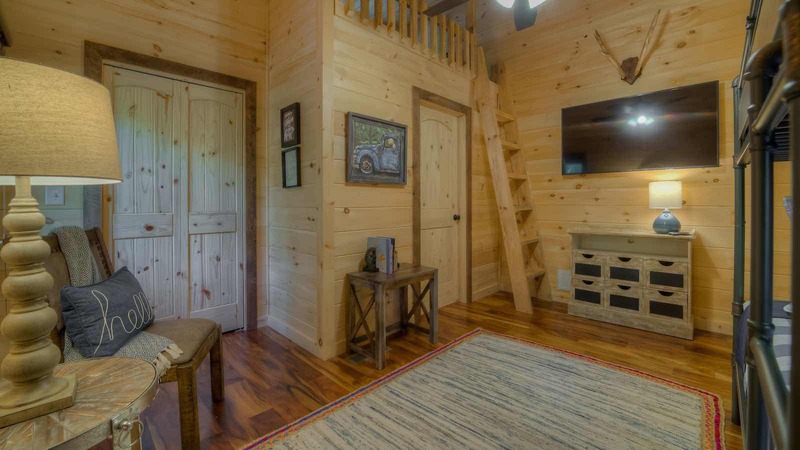 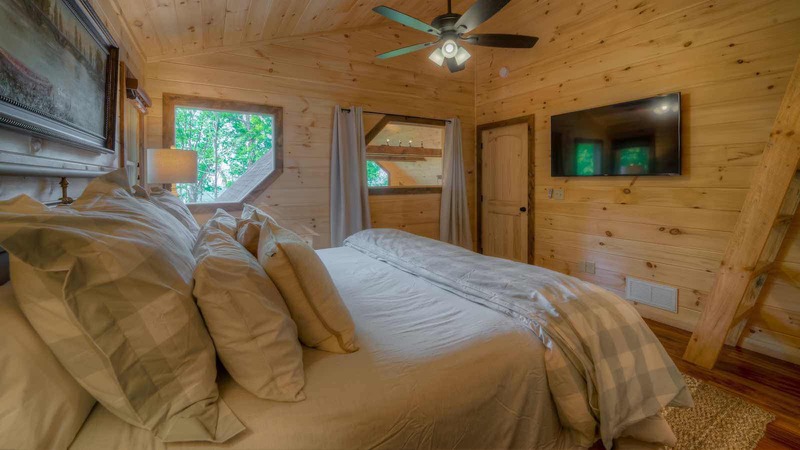 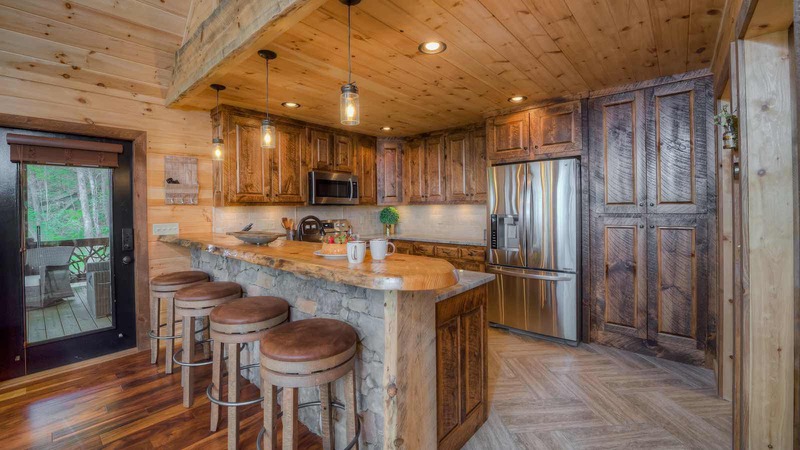 This cabin is a sight within itself: from impectable decor, to a plenthera of amenities (including eight large flat screen TVS!) 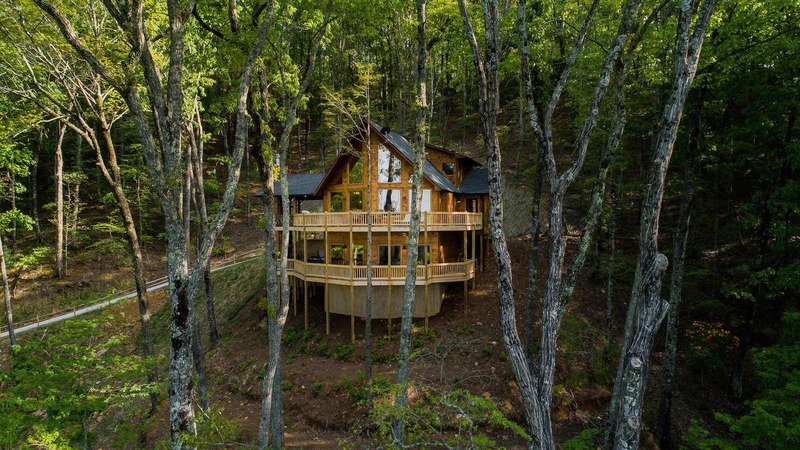 this luxury cabin combines functionality, technology, and beauty seemlessly. 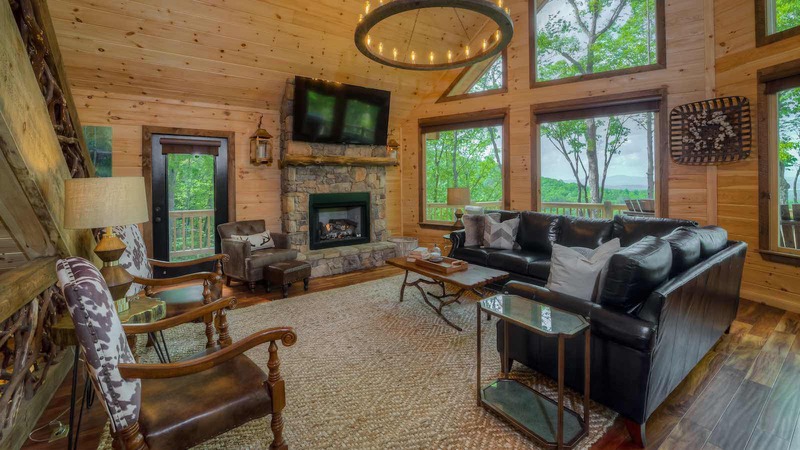 Main level - Prowl front with a wrap around deck overlooking the jaw-dropping view, gas grill, outdoor dining, outdoor seating and furniture, outdoor woodburing fireplace with large flat screen TV. 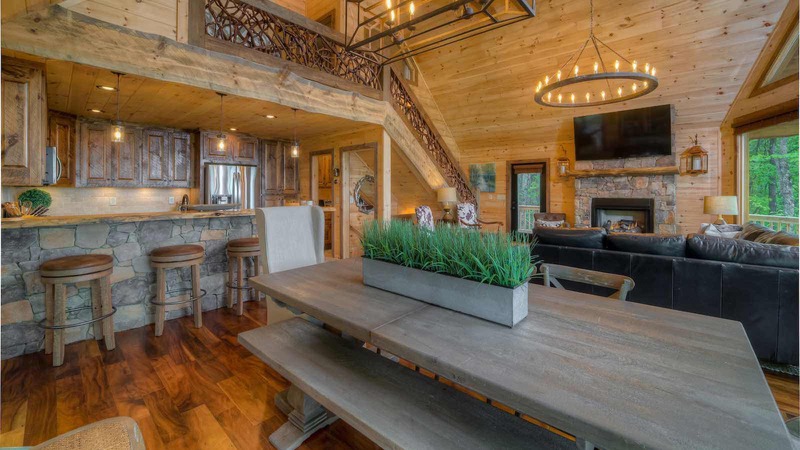 Inside main level: soarng ceilings with a wall of glass facing the view, a beauutiful dining table with seating for up to 10 guests, gas log stone fireplace with plenty of luxurious seating, gleaming kitchen wth stone farmhouse-style sink, granite countertops plus a butlers pantry/bar area, breakfast bar in kitchen encased in stacked stone with seating for four guests. 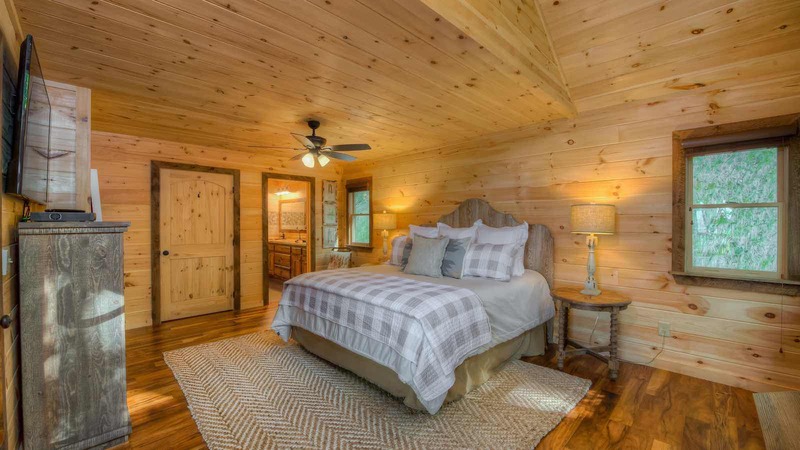 Main level bedroom with a plush king size bed and large flat screen, access door to the deck, luxe bathroom with extra large copper sink double vanity, soaking tub and roomy open air tile shower. 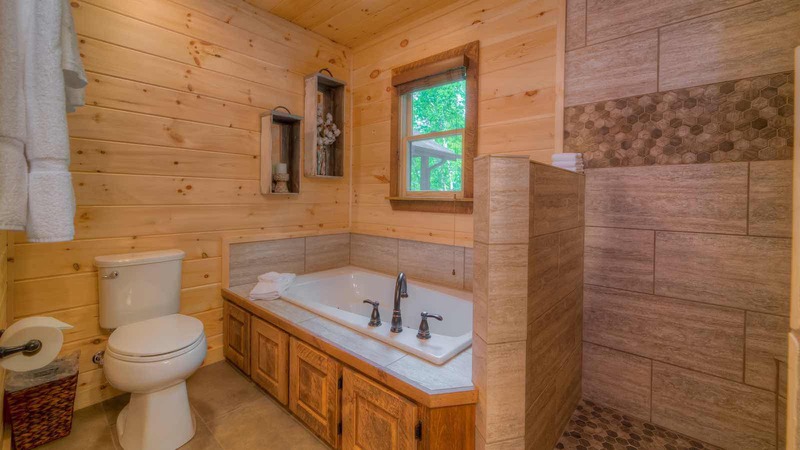 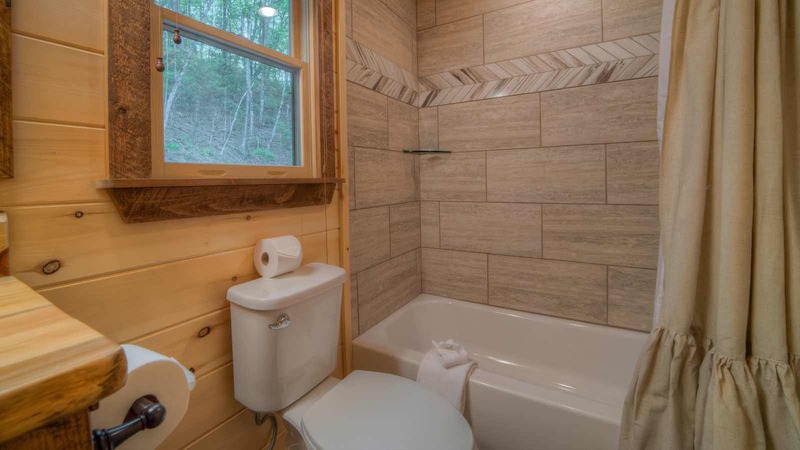 Between the staircase and main level bedroom is a handy half bath powder room. 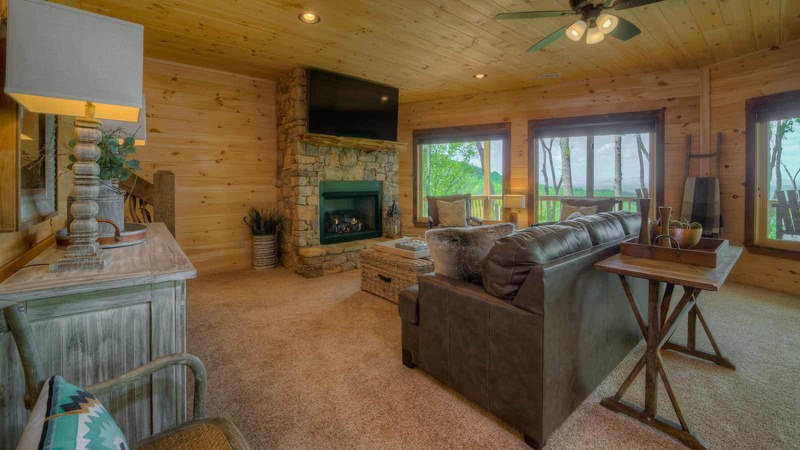 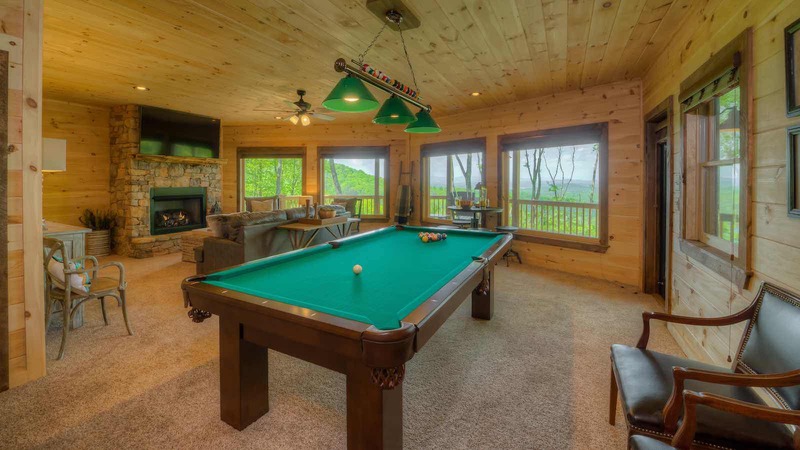 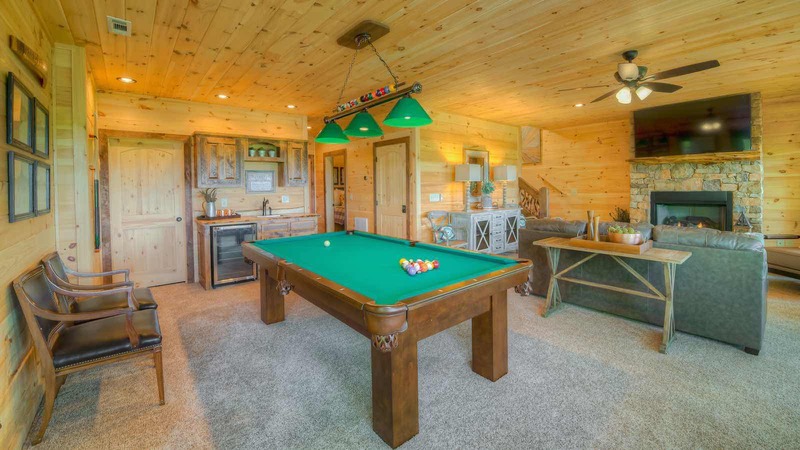 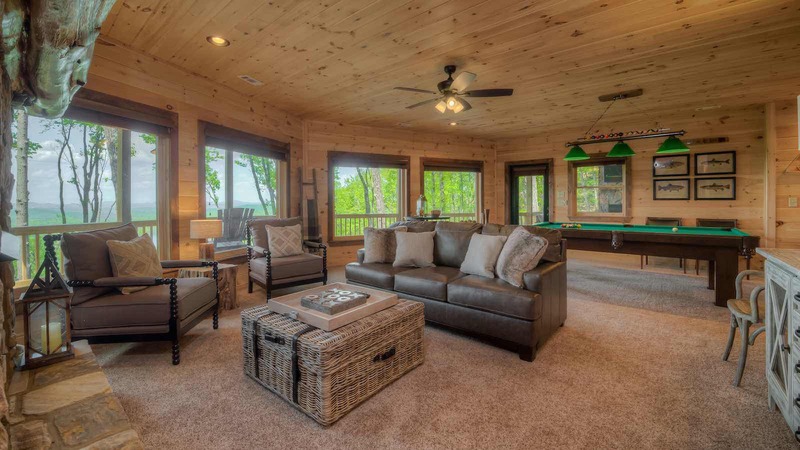 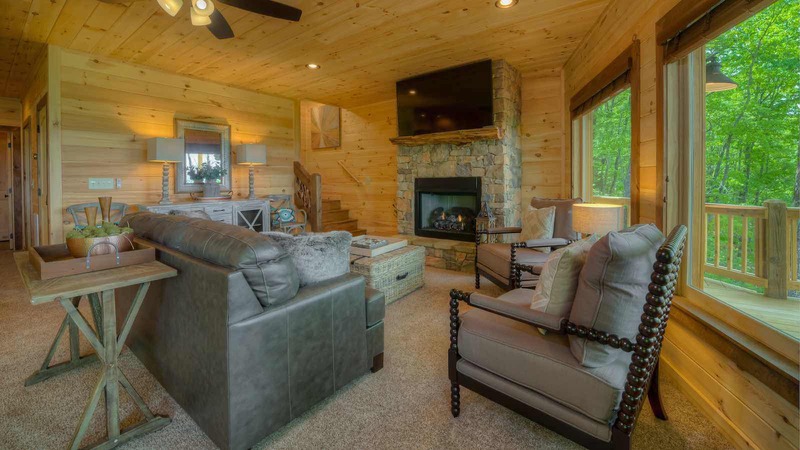 Lower/gameroom level - gas log stone fireplace surronded by lots of cozy seating, pool table, wet bar with prep space and wine chiller, the fourth bedroom. 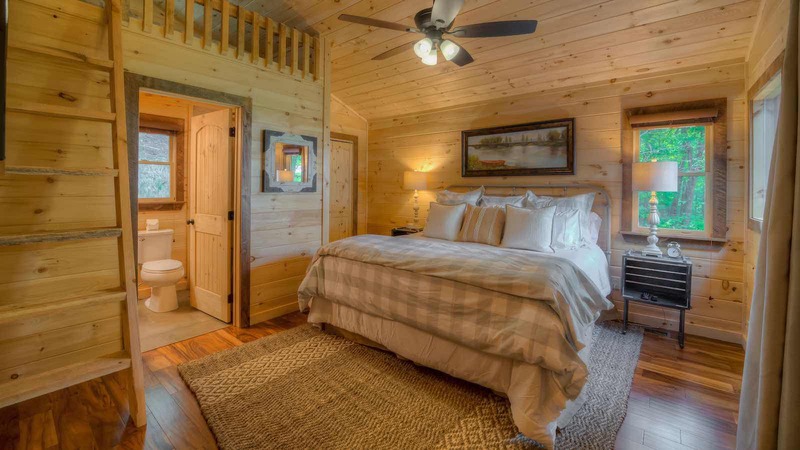 The fourth bedroom has a bathroom with shower/tile tub combo and single vanity, cozy King size bed and large flat screen TV. 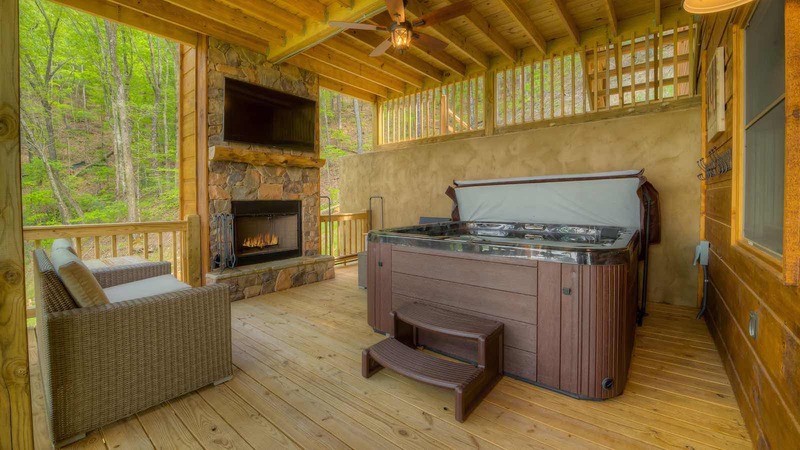 The gameroom level's deck has the hot tub facing the view with the second outdoor wood burning fireplace and large flat screen, outdoor seating, stunning views from this levels deck as well. 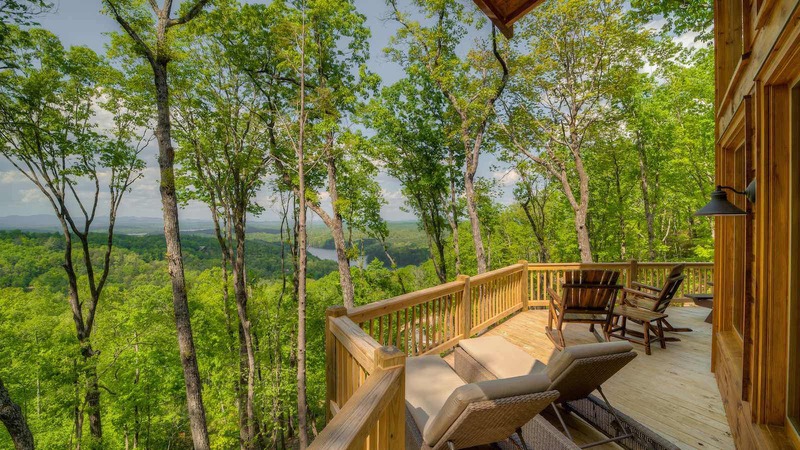 With its luxuries and incredible views, Sky High Lodge will make you feel like you're on top of the world, literally and figuratively!